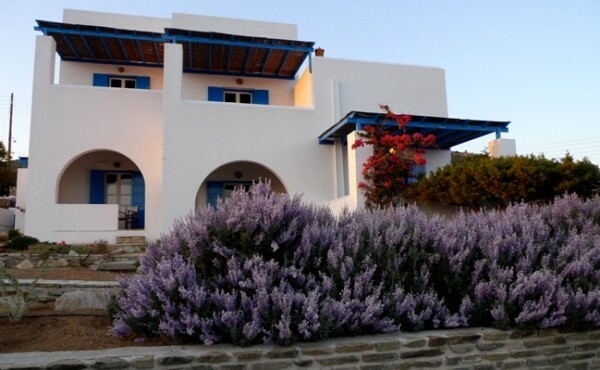 Oliaros is a small, charming hotel, located south-west of Antiparos, in one of the most picturesque corners, with ideal orientation, offering a breathtaking view overlooking the bay of Despotiko island. Saint George (Agios Georgios) is with sandy beaches, volcanic landscape and at a very close distance from the uninhabited Despotiko Island (ancient “Presepinthos”), a place of great archaeological value. 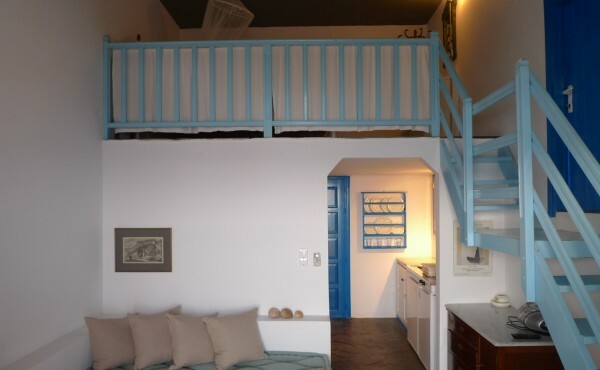 Respecting the environment and maintaining the traditional Cycladic architecture was our main concern when building "Oliaros", an exquisite "balcony" over the light blue Aegean Sea. 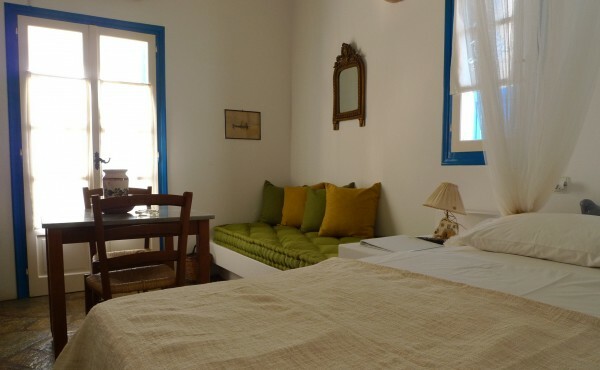 Our rooms and studios have a marvelous sea view and are decorated with discrete taste, highlighting the traditional element. Paying close attention to the comfort of our visitors, we attended that all studios and maisonettes feature high quality ecological mattresses by COCOMAT, also have private shaded terraces with sea view and are equipped with kitchenette, air conditioning, TV, safe deposit box and bathroom amenities. 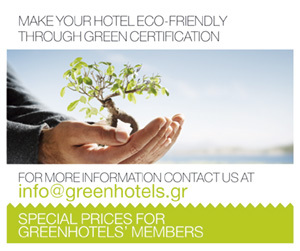 Oliaros Hotel in Antiparos is rated as ECO CLASS B.
Oliaros hotel is located close to α sandy beach in one of the most beautiful corners of the Island, the bay of Despotiko island. 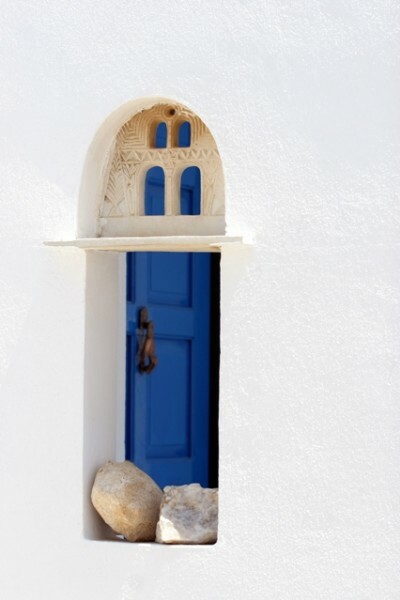 Saint George offers peace and quiet, breathtaking views to Despotiko Island, beautiful sunsets, sandy beaches and few fish restaurants. From Saint George, you can navigate to the sea caves with the blue waters, either by daily boat service or by paddling with sea canoes. 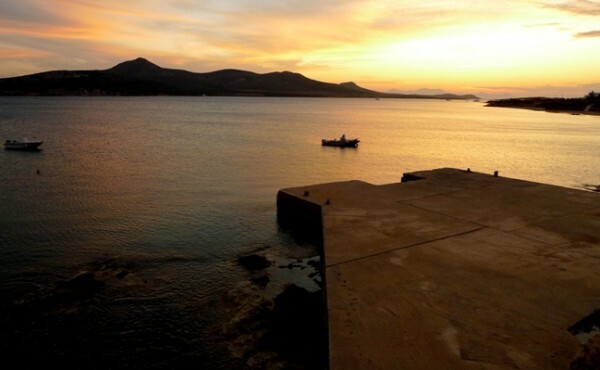 Despotiko Island has numerous sandy and pebble beaches and a daily boat trip will amaze your senses. With many ongoing archaeological excavations it is also a place of great interest for people who want to get a taste of local history.